Cleansing oils are my absolute favourite type of cleanser particularly when the weather is a little bit colder as I feel like it's just another way to nourish your skin. 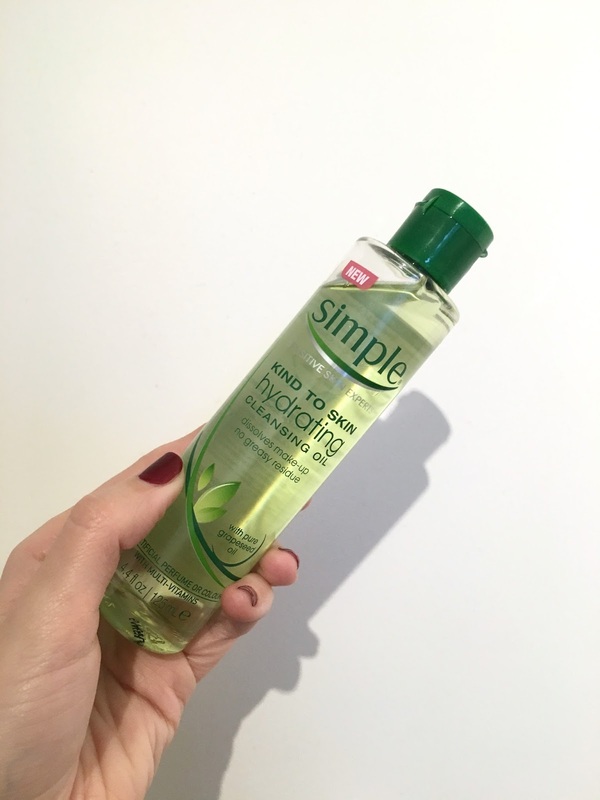 I've recently been using the Simple Hydrating Cleansing Oil, and being someone that uses a fair amount of high end products, I am so, so impressed with the quality of this product. It’s made with 100% pure grapeseed oil and has a really light texture which means you’re not left with greasy feeling skin afterwards. I have fairly sensitive skin, and during the winter I get dry patches on face so really rely on gentle and nourishing products to get me through the colder months. London has suddenly plummeted in temperature as soon as we hit October and I really think because I've been using this every evening to take my make up off that it's prevented my skin from getting dry. 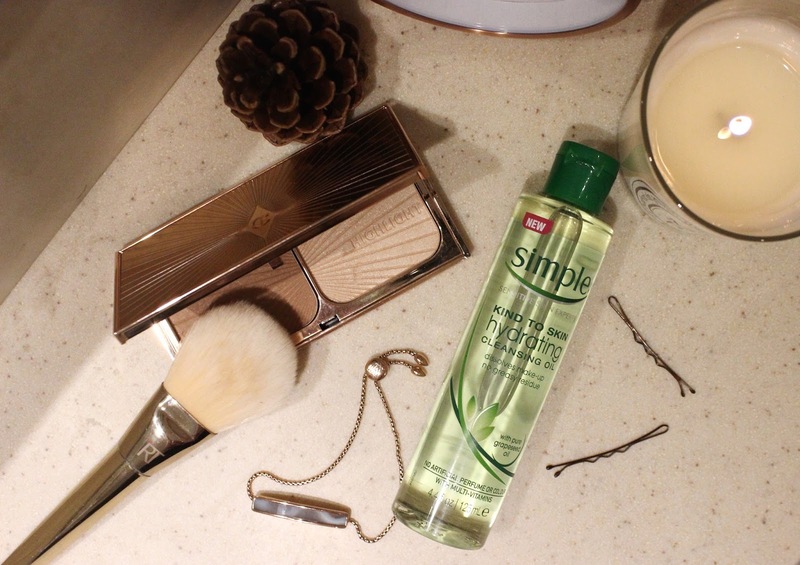 It seems that there are still a lot of misconceptions around using cleansing oils, particularly for those who have oily skin. 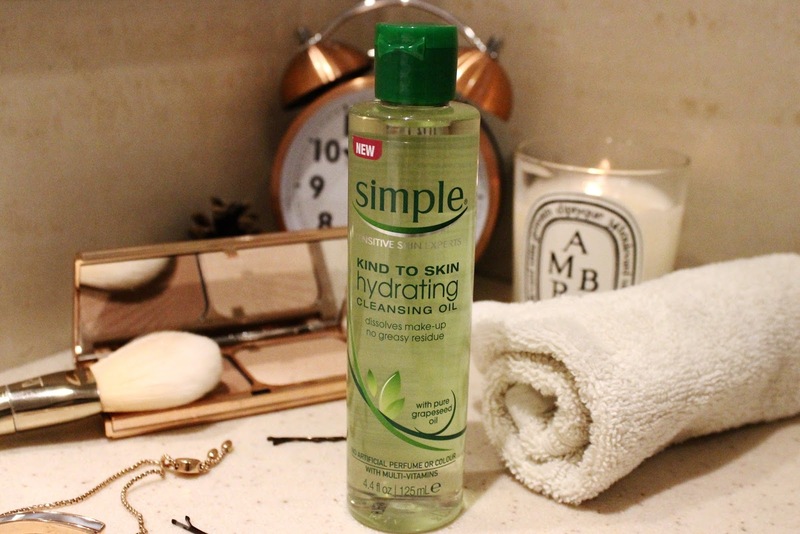 However, if you do suffer from oily skin you can still use cleansing oils as the way they work is by removing any impurities and excess oil from the skin and as I mentioned above, they're also amazing if you have dry and sensitive skin too! For removing my make-up I always use Simple Kind to Skin Face Wipes to remove the make-up around my eyes as I find that's the easiest thing to do regardless of what type of cleanser I use. 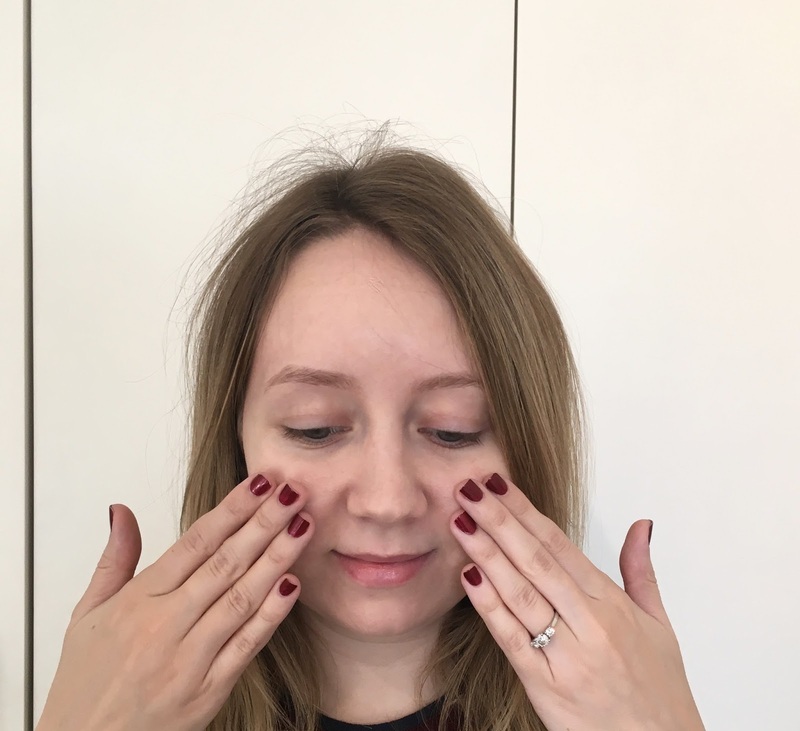 To then remove the make-up from my skin I pour a small amount of the Simple Hydrating Cleansing Oil into my hands, and you really only need a small amount as a little goes a long way, I then apply it to my skin and massage in circular motions. I make sure that I've covered my whole face with the oil, massaging gently all over and then rinse off with a warm face cloth to remove the oil, leaving my skin perfectly free from make-up. I find that doing this process just once with a small amount of the oil dissolves all of the make up on my face and leaves my skin feeling, make up free, clean and hydrated. 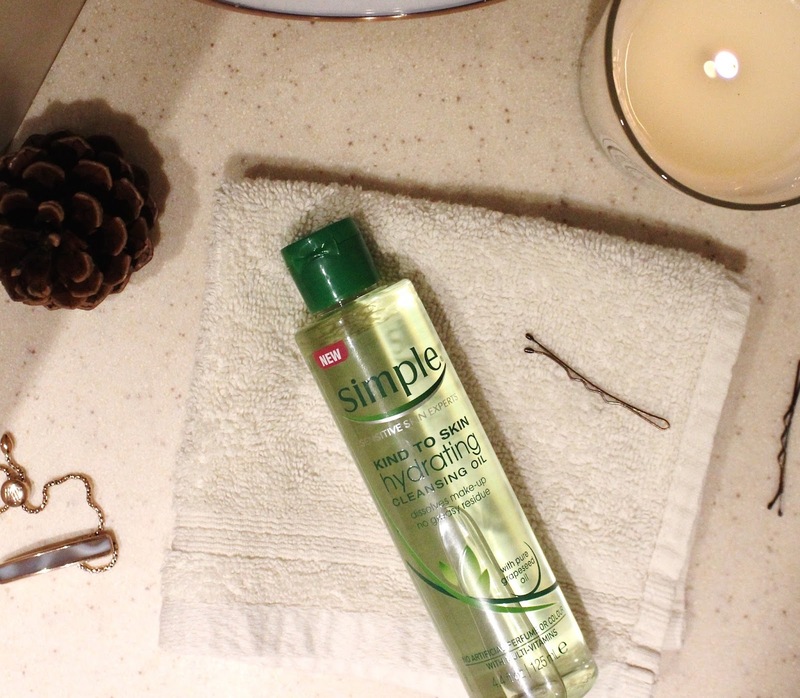 Have you tried the Simple Hydrating Cleansing Oil before and what do you think? This post is in collaboration with Simple.